What happens when mysticism meets art? Read on to find out! The students of JJ School of Arts, Mumbai were thrilled by the arrival of the mystic for whom they displayed their marvellous works of art – paintings, fine architectural models and sculptures. What’s more, the students got a chance to indulge in some calligraphy with Sadhguru himself. Shammi Khan, a student from JJ Institute of Applied Art was displaying some Calligraphy works when Sadhguru stopped at his table and tried his hand at some calligraphy too. The student was left full of adulation when he said "Even before introducing this he knows about this. As he knows everything else, he knows about Calligraphy... We asked him to do a few strokes for us and he just did it heartfully without any hesitation... And he has written with such beautiful strokes - Shambho in Kannada." Sadhguru, the designer and architect of various structures at Isha Yoga Center, understands architecture and its essence. The students were enthralled to hear his views on the significance of geometry, details about temple architecture and in what manner an artist should express his art. 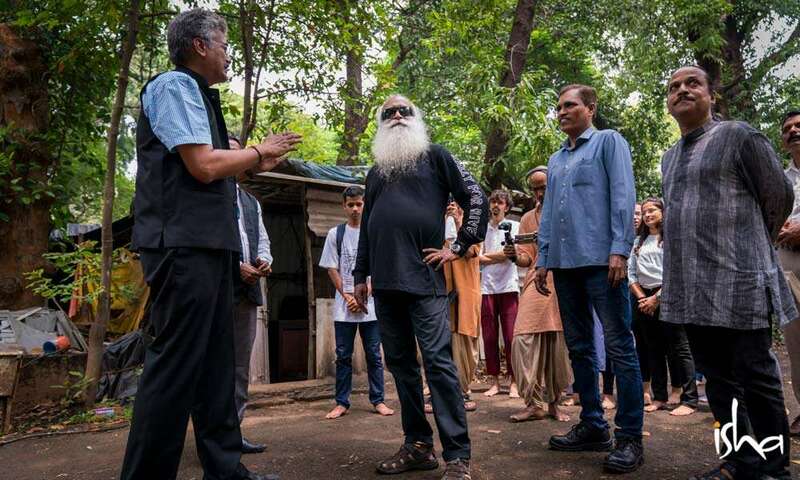 They appreciated Sadhguru’s advice that an artist should remain focused and not worry about the outcome. What Did the Youth at JJ Have to Say About Why They Connect with Sadhguru? Here, JJ College student Ojaswika talks about her take on Sadhguru and what she took away from her interaction with him about architecture. According to her, "I think he's a bomb, an explosion. He has the perfect weapons in his arsenal for connecting with the youth." 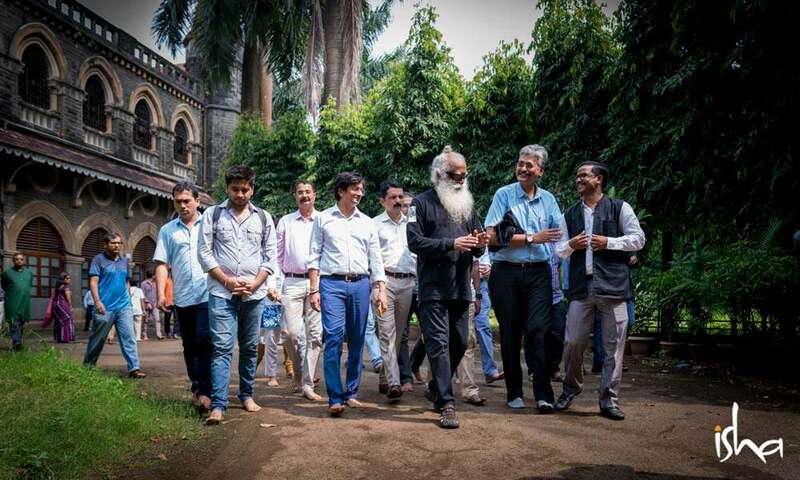 “Mesmerizing,” “the way he talks…,” “logical,” “his accepting ways,” “how he keeps us motivated” are some examples of praise by the youth for why they connected with Sadhguru. When a mystic gossips, it goes cosmic. Add a whole lot of excited college students to the mix, and this is what happens! Euphoria, warmth, joy and tears – this eclectic crowd exhibited it all! Youth and Truth Theme Song Video Contest!